Louisiana cuisine is known for its spicy kick and liberal use of smoked meats and shellfish. Jambalaya combines all of these elements in a one-pot rice casserole. The recipe below gets a hearty dash of spice from Creole seasoning and hot pepper sauce. To make it even spicier, add a diced jalapeño or serrano pepper along with the onions and other vegetables. 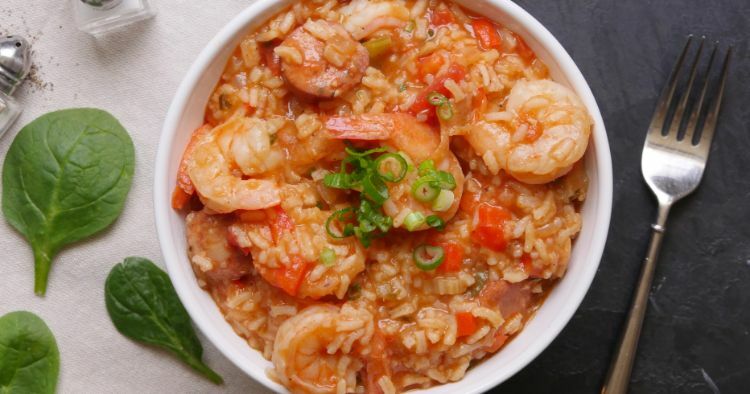 Andouille sausage is the most common choice for jambalaya. It’s a spicy, smoked pork sausage that delivers the essential flavors of Cajun and Creole cooking. You can find andouille in many supermarkets, but if yours doesn’t carry it, substitute any spicy, smoked sausage you can find. Add the sausage, onion, bell pepper, garlic, and celery to the pot and cook, stirring frequently, until the sausage is browned and the vegetables have softened, about 8 minutes. 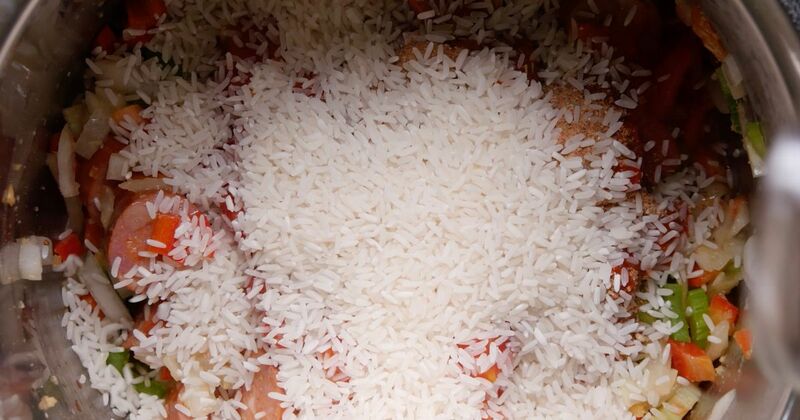 Add the diced tomatoes, along with their juice, broth, Creole seasoning, hot sauce, salt, and rice. Stir to mix. When the cooking time is up, quick release the pressure and turn the pot off. Stir in the shrimp and scallions. Replace the lid, but leave the pot turned off, and let stand for 10 minutes (the residual heat will cook the shrimp).